Our praxis was based in 1968 by my parents (dentist and dental laboratory technician). Since 1990 the second generation has also been working for nice teeth and beautiful smile of our patients. Three dentists, four dental assistants and two dental laboratories attend our patients. We lay stress on the use of the most modern equipment. 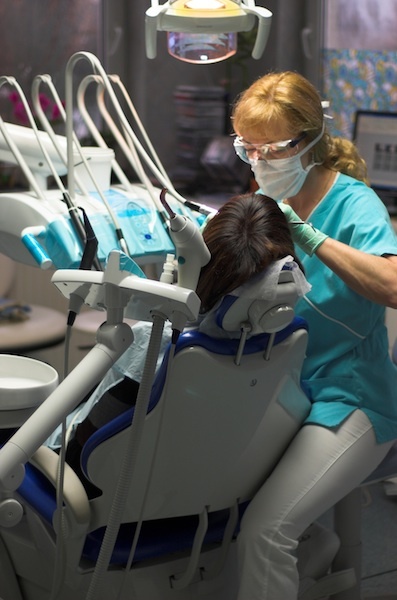 With the help of continuing dental education my colleagues and I attempt to provide services at the highest possible level: we use materials from the USA, Germany and Japan and the most modern machines assist our work. We provide general conservative dental and prosthetic treatment for both children and adults. Our specialities has been implants since 1992. Our praxis has been taking part in dental education as a special place of course of the University Albert Szent-Györgyi. We do love our profession and patients are the most important for us – this is our philosophy we would like to transmit the next generation.